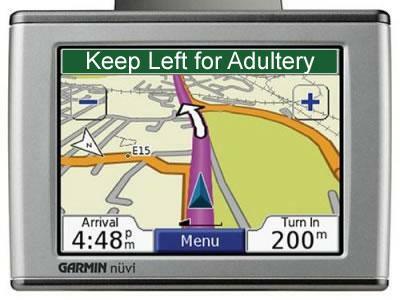 A court in New Jersey has ruled that using GPS to track a cheating spouse was not an invasion of privacy. In 2007 Kenneth Villanova's wife put a GPS tracking device in the glove box of their car, on the recommendation of private investigator Richard Leonard. Two weeks into the GPS tracking, Leonard found Villanova leaving a driveway in his car with a woman who was not his wife. Villanova then sued Leonard for invasion of privacy. "Everything described in this report occurred on public roadways and in plain view of the public. There is nothing in this report that could support an inference that any surveillance of plaintiff extended into private or secluded locations that were out of public view and in which plaintiff had a legitimate expectation of privacy. There is nothing to establish that any possible invasion of plaintiff's privacy and seclusion ever occurred. Such a finding would require that he was in a location where he had a reasonable expectation of privacy." The moral of the story is clear: don't use your own car for those adulterous liaisons.